Redmi 2 Prime: Still the best for 7000 Rs ? Home / Product Reviews / Redmi 2 Prime: Still the best for 7000 Rs ? Redmi 2 Prime - Still the best under 7000 ? Redmi 2 Prime – Still the best under 7000 ?Xiaomi has taken the world by storm since its first Android based firmware – MIUI in 2010. MIUI was the cleanest ROM available at that time that was smooth and wasn’t a battery hogger. Later the company started manufacturing mobiles and started with the Mi series, with Mi1 being the first offering. Soon the company spread its wings and entered the south Asian markets offering some of the best budget smartphones. Ever since, Mi has become a household name. From Smartphones, power banks to routers and TVs, Mi is making everything. I still remember buying their the-then flagship phone the Redmi 1s. It was through a flash sale on Flipkart and a script I wrote came in handy 😉 Since then I have become a fan of Mi, be it the Mi Band that I got as a part of the Flash Sale last year or my recent purchase the Redmi 2 Prime. Completely satisfied with both the products. Redmi 2 Prime – Still the best under 7000 ? I had been lookout for a new ‘budget’ smartphone within the range of 5000-7000Rs. There were many choices – Micromax, Coolpad, Lava, Samsung to name a few. But after a thorough research, it finally boiled down to two phones that perfect matched my requirements: Lenovo Vibe P1m and the Redmi 2 Prime. Both these phones had the same price, almost similar specs except that the Lenovo Vibe had a monstrous 4000 mAh battery. Now why did I choose the Redmi 2 Prime over Lenovo Vibe ? Well, firstly Lenovo had their own flavor of Android and realized that it isn’t updated regularly. On the other hand, MIUI is a great ROM with tons of features and is constantly updated. When I bought it was running MIUI 6.0 and immediately after restart it prompted for an update. Secondly, after having used other Mi products in the past, I was certainly sure about the phone’s life and that it wouldn’t have any issues. The answer to the above question is Yes. Redmi 2 Prime is still the best for 7000 Rs. I know Lenovo has come up with Vibe K5 which has a better camera and similar specs as compared to Vibe P1m and Redmi 2 Prime. But I’ve read user review of the phone having heating issues. I also read that it has been fixed by a recent update, but how well the phone performs is a questions. Anyways coming to Redmi 2 Prime, the phone boasts of a Quad-core 1.2 GHz processor coupled with a 2 GB RAM. With such power under the hood, the phone is smooth. Switching between the apps, running many apps in background, Redmi 2 Prime does handle it well. And I haven’t observed any heat issues on normal usage. There are many smartphones that boast of powerful processors that eventually fail to deliver but the Redmi 2 Prime does exactly what it says. Redmi 2 Prime is the best budget smartphone. Secondly, with built in memory of 16GB and an option to upgrade via external SD card is that makes the phone a favorite for music, movie, game lovers and the shutter bugs. Not many phones in the category offer 16GB internal memory. Upon checking the available memory, the phone provides about 12-13GB which is quite a decent amount. Thirdly, the Redmi 2 Prime comes withe a 8 mega pixel primary camera and a 2 mega pixel secondary front facing camera. The camera is pretty good and takes good photos outdoors however it isn’t that great for indoor pics. The phone comes with a flash that works to an extent but then again the low light photos aren’t great either. On a whole, the camera is pretty decent for daylight photography. For me the Redmi 2 Prime was an upgrade over Moto G 1st gen. Moto G was pretty good in the initial days, but day by the day the performance reduced. Hanged a lot, became very slow and battery issues. So I felt that Redmi 2 Prime was the prefect upgrade over my last phone. I feel, Redmi 2 Prime, the Made in India phone delivers the required performance without burning a hole in your pocket. 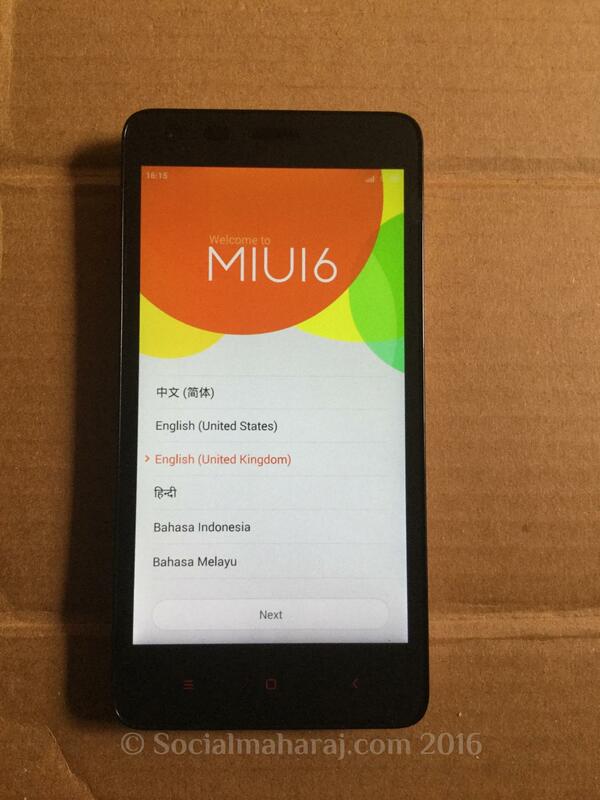 Already own the Redmi 2 Prime ? How’s it doing ? Why don’t you share with us ? This article must give a good comparison while purchasing a new one. Thanks for the suggestion. Since most phones in this range have similar features, I compared only the ones that stood out – processor, camera, internal memory. Anything else you think I missed out ?